You’ve said it in your head 100 times, Not Today Heifer! Now flaunt it on a shirt. 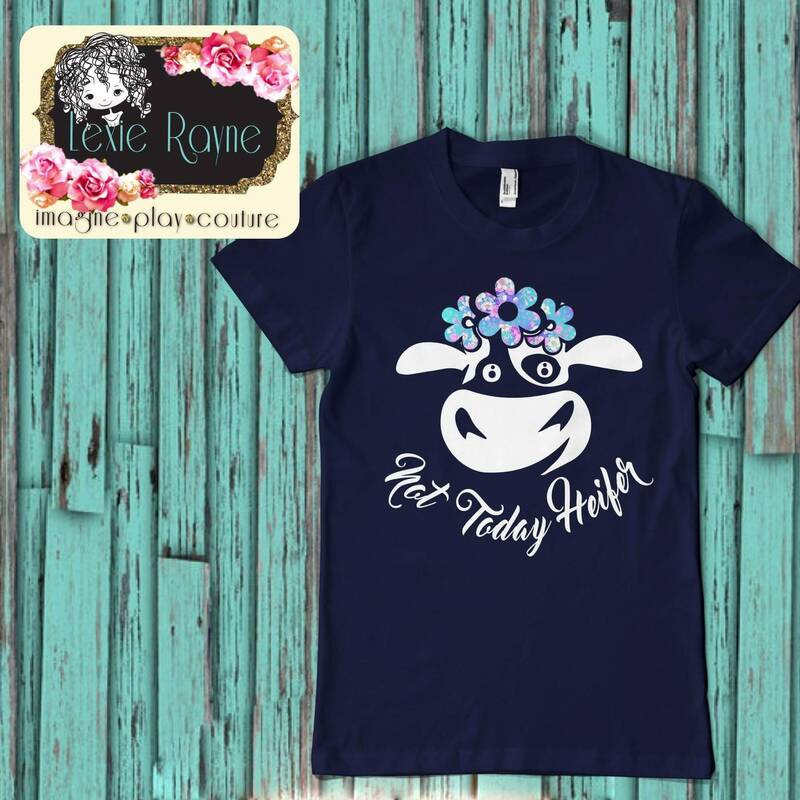 This super cute cow is made of top grade vinyl applied with a professional heat press. Shirts are navy blue. Unisex sizing. Cancellations permitted within 24 hours after your purchase.